The Clyde Shower Toileting Chair is ideal for an older child or teenager. Constructed from medical grade PVC, which has anti-bacterial properties, therefore keeping the surface cleaner. The frame is purpose-built to be lightweight and compact to make it more portable, as well as easier to clean and store. It features a tall back with a padded seat for added comfort for the user. Plus, the product will not mark or rust! The chair comes with 4" deluxe castors, fitted with brakes on the rear wheels for safety. 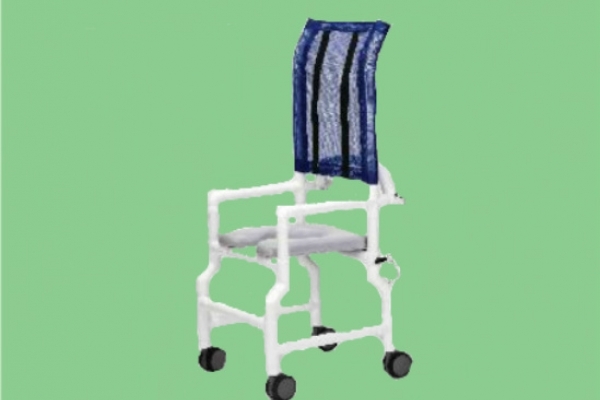 Lightweight Medical Grade PVC frame. Castors with brakes on the rear. Will not mark or rust.